In the my last writ entitled “The Post Coup Purge Evolved to The Humanitarian Crisis”; I’ve tried to explain why the situation in Turkey have to defined as humanitarian crisis. In this writ, I’ll try to explain the attitude of The Council of Europe (COE) and European Court of Human Rights (ECtHR) on this humanitarian crisis. As you know, ECtHR is permanent body of The COE which was established as an impartial and independent judicial body to guarantee for all Europeans the rights safeguarded by European Convention on Human Rights and its annexed protocols. Turkey was invited by The COE to be member in 1949, so that being considered amongst the founder members. Turkey has ratified respectively the European Convention on Human Rights, the right to individual application for its citizens and the compulsory jurisdiction of ECtHR in 1954, 1987 and 1990. So The COE and ECtHR which are the subject of The International Law have obligations against the Turkish citizens, pursuant to the their founding treaties and annexed other codes. The ECtHR has jurisdiction to decide on the complaints (submitted by individuals or States) concerning violations of the European Convention on Human Rights allegedly committed by a State Party. ECtHR has to protect its impartiality and independence in any circumstances. So The Court can’t bargain with the party states, can’t seek for the political solutions and the interim remedies but unfortunately The ECtHR did do all with Turkey and I’ll tell how did it. 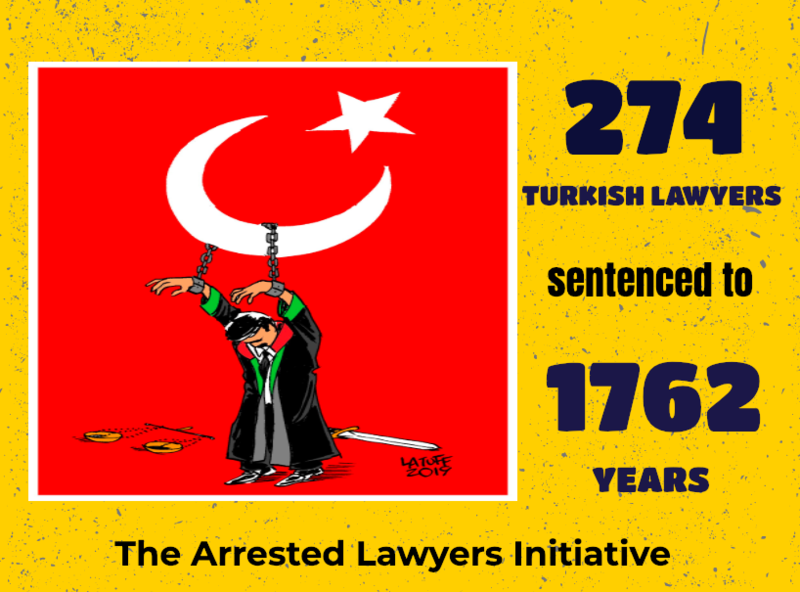 After the failed coup attempt Erdogan Regime firstly targeted the judiciary; in the first place to be 2745, a total of 4238 judges and prosecutors were dismissed. This figure reaches upon 5200 when military judges and prosecutors and the judges of The Court of Accounts are included. The decision of TCC initiated the all decree dismissals; shortly after the TCC’s decision Turkish Government issued the first three decrees on the 1st September, 2016. With decrees 672, 675 and 677, 50.589 public servants were dismissed. This first group of the decree victims immediately begun to apply the ECtHR because even TCC had dismissed its 2 members without any reasonable evidence, this caused a huge workload defined as tsunami (by a COE staff) on the ECHR. 10th November 2016: When the tsunami (which was triggered by decree dismissals) came to shore of The ECtHR, The Secretary General of the Council of Europe, Thorbjørn Jagland immediately visited Ankara and met with Zuhtu Arslan who is chief judge of The TCC. 23rd January 2017: Turkish Government decided to establish suggested “ad hoc body” (named The State of Emergency Procedures Inquiry Commission – SEPIC) with Emergency Decree 685. 17th May 2017: Members of The SEPIC were appointed by Prime Minister Yıldırım. 12th June 2017 : The ECtHR has declared the application (70478/16) of Gokhan Koksal (who is a teacher dismissed with a decree) inadmissible for non-exhaustion of domestic remedies. The court dismissed the application for failure to exhaust domestic remedies, finding that Köksal had to use the remedy provided for under Legislative Decree no. 685. The ECtHR dropped similar 12000 applications depending this (Koksal vs Turkey) decision. 4th August 2017 : The TCC dismissed a total of 70,771 applications filed by the dismissed public servants, urging them to complete the procedure by first applying to a Commission. I want to finish my writ with law professor Kerem Altıparmak’s words; The 2017 will be remembered as milestone for the ECtHR, such a milestone that the bargains (with governments) win not the justice and human rights.